But let’s not rush into this. Superman has traditionally had success on the small screen. His most recent run, Smallville, lasted 10 seasons. Lois and Clark before that ran for four. So he could no doubt make a solid run at his own series. But where does that put us? 1 hour every weeknight with a different hero running the monster of the week story arc. Don’t misunderstand, we love it. Right now, as is, the 4 CW shows are still running smoothly. (Yes, even Arrow with its season 3 and 4 stumbles is doing its best to get back to snuff.) But adding one more into the mix? That could very well cause our want for superheroics to wear thin. Superman, right now, is best utilized as a force of nature doing his thing in the background. You know he’s out there, and maybe he will pop in from time to time, but he’s got a world to save. Besides, if he has his own show, where does that leave Kara? To be fair, Supergirl as a character has been doing her own thing on and off for 57 years now, even with her little cousin saving the day front and center. There are plenty of story arcs and interpretations to pull from to make Supergirl her own hit show. (Comet the Super-Horse notwithstanding) But two of the best episodes of season one: “Bizarro” and “For the Girl Who Has Everything” were direct pulls from Superman’s own mythos. If you bring Superman into the CW fold, the two will be contending for these storylines. Perhaps not though. Perhaps they could find a way to make both of them work, considering between them they have upwards of a 130 years of plot to pull from. But why risk it? The truth is, a Kryptonian is a Kryptonian is a Kryptonian. Their powers and abilities only let you paint them so far into trouble before they remember they have heat vision and super strength to punch their way out of peril. More than one show like this could be too much. Since Supes has had two shows and 3 movies in recent years, now is Supergirl’s time to shine. We’re mere weeks away from the CW crossover event, and we couldn’t be more excited. We love that the 4 episode event is dubbed “Heroes vs Aliens” because how much fun is that? But the addition of Supergirl to the hero line-up only means the threat ante had to be cranked to 11. That doesn’t pose much problem for the 4 shows, as 3 of them deal with the fantastic almost every week. The one holdout, who for the most part remains grounded in the “real” world, is Arrow. It won’t be so much of a stretch as the Flash and Legends have both spun out of Ollie’s world, but it does clash a little with his current season arc. The bigger point here being, Supergirl’s addition to the team already maxes out the heroes’ stats. Adding Superman into that only doubles the advantage in their favor. You would be hard pressed to find a reasonable threat for all of them without having to split realities wide open via one of the Crisis storylines, or God forbid, Parallax and Zero Hour. One of the biggest points on the “Give Supes a Show” checklist is the eventual addition of the Justice League. The fact of the matter is, and we’re sorry to break this but, there isn’t going to be a Justice League. Not in the traditional sense, with the Trinity, Green Lantern and the other core members. At least not for the foreseeable future with the DCEU having hold on them. So bringing Superman in without the rest doesn’t make a lot of sense. Not when Supergirl already has that angle covered. That’s not a bad thing though. What we have in the Arrowverse is action-packed, engaging, and most importantly, fun. (Yes. We’re including Arrow in that.) We don’t need a traditional Justice League on the TV, because what we already have is doing some great work in their own right. 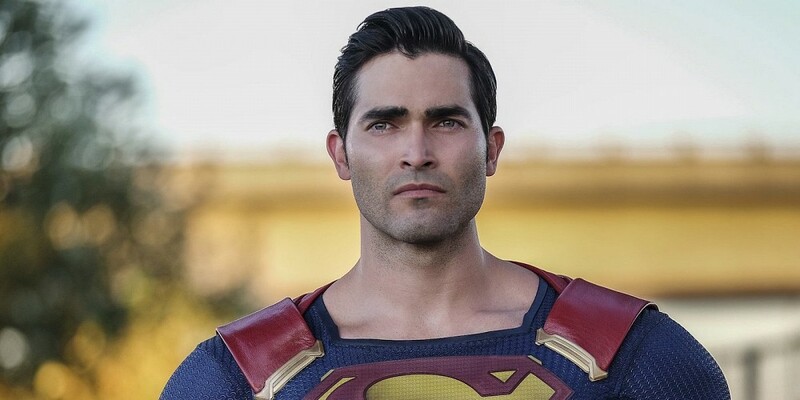 The hard truth of it is that Tyler Hoechlin’s version is the Superman we deserve, but he’s not the Kryptonian we need right now. That distinction belongs to Kara Zor-El. That said, if he doesn’t show up at least two more times this season, we’re first in line to start blowing up @TheCW’s Twitter feed.